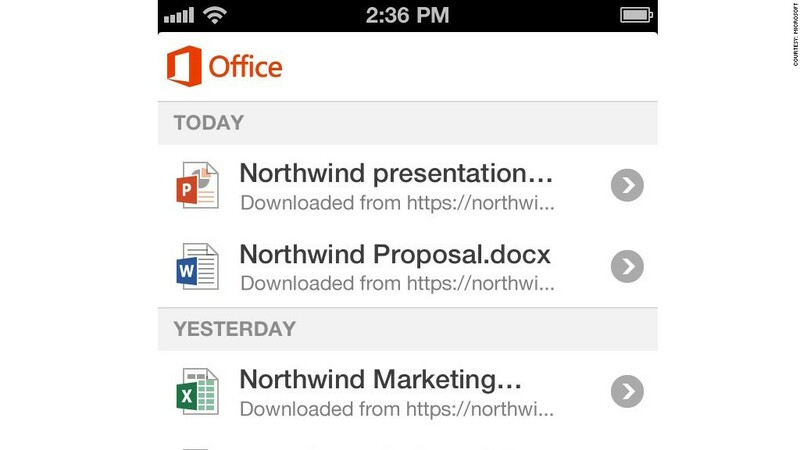 Microsoft Office is finally on mobile, after upstarts like Evernote and Dropbox took advantage of the gap. Over the past few years, Microsoft has been inching closer to making Office available on any device. By launching its Office Mobile for iPhone app on Friday, Microsoft is just about there. The app, which launched Friday in Apple's (AAPL) App Store, has a catch. It's available (and free) only for users who subscribe to Office 365, Microsoft's cloud-based Office program that costs $100 per year. That means if you're using Office 2010 or Office 2013, you're out of luck. In a research note, Nomura analyst Rick Sherlund called the app's release "a very limited first step." He noted that Microsoft is likely keeping Office Mobile off the iPad to give Windows 8 and the Surface tablet "a chance to gain traction." Still, he said, even a limited Office Mobile release "represents a key strategic step for Microsoft." Office is currently available on other platforms in a limited way. Windows Phone and Surface users have access to the full version of Office, but those devices have gained little traction. Android and for the iPad owners can use Microsoft's Office Web apps, but their functionality is extremely pared down. That's not the case in the new Office Mobile for iPhone. Users can view and edit documents in Office programs on their iPhones, and the formatting and layout of the desktop version will be kept intact. It's Microsoft's (MSFT) first big push into mobile productivity on a competitor's platform. With devices like smartphones and tablets overtaking the PC, some analysts think it's long overdue. Evernote and Dropbox, meanwhile, have rushed in to fill the productivity gap on mobile devices, "disenfranchis[ing] Office on the hottest growth platforms," Sherlund noted. Office Mobile could help fix that problem. The launch of Office Mobile will keep Microsoft relevant in that world -- and it's a potentially big source of revenue, said Laura DiDio, principal analyst at research firm ITIC. Microsoft needs that right now, given that PC sales are seriously struggling and WIndows Phone is a distant third in the smartphone market. "The life's blood of any software package is its availability on as many platforms as possible," DiDio said. " And since mobility is a key platform, this can only help Office."